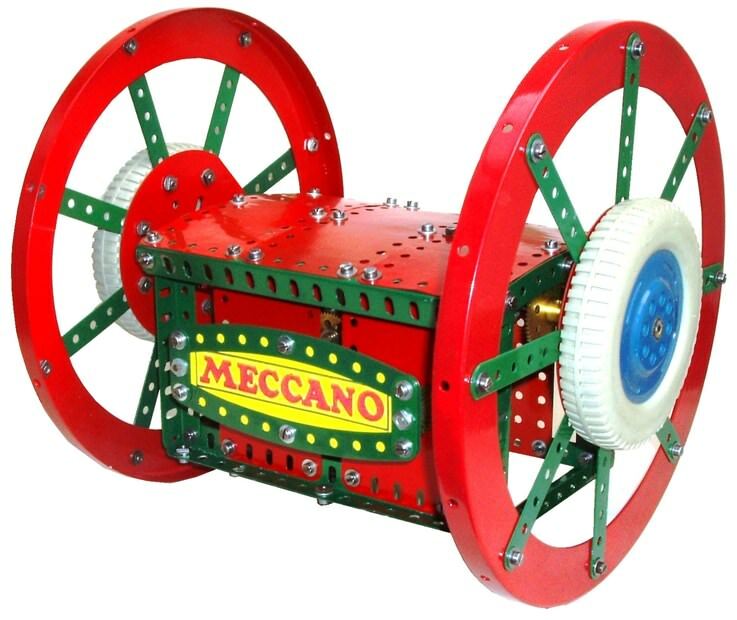 This model is reminiscent of similar ones seen in Toy Shops in the 1950s. Driven by a No. 1 clockwork motor, it remains upright throughout its operation. The motor sits in a frame between two 10" wheels, and drives the model forward approximately four metres and then returns.